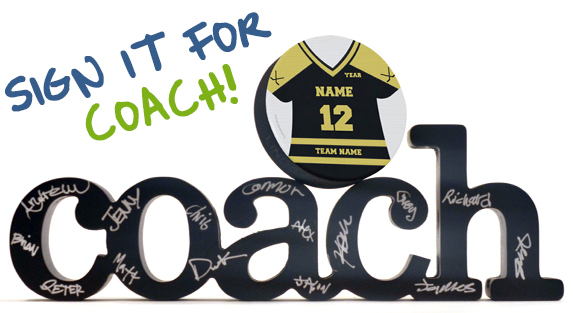 Our handcrafted hockey Wood Words are an ideal end of the season gift for players and coaches, and some styles even come with a silver permanent marker so the team can sign this stand-out gift that's perfect to display at home or the office. We have add-ons including hearts and numbers for an ideal hockey display. Hockey coaches and players will love this special keepsake for years to come.